Posted by Lorea Thomson on Thursday, August 24th, 2017 at 11:58pm. A relatively new superfoods restaurant is The Bolay, located at 3333 Northlake Boulevard, Palm Beach Gardens. “So fresh, So Fresh, So Bold”. 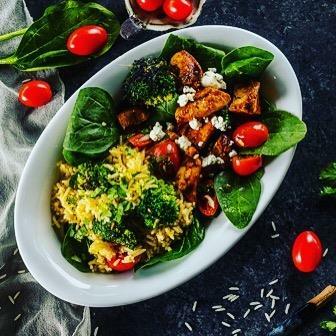 The restaurant is renowned for its chef inspired, full of nutrients so bold”, is the logo on the celebrated restaurant which originated in Royal “build-your-own super-foods bowl concept” opened its subsequent location at on Northlake Boulevard. The fast, relaxed eatery offers seared proteins and vegan-friendly fresh side dishes, and gluten-free cilantro noodles, fast-casual eatery offers seared proteins and vegan-friendly fresh side dishes and marinated kale currant salad. The idea behind “Bolay”, was to create and enjoy an enjoyable organic and fresh, relaxed meal. The process is unique and fun. To make your meal just as you like, start layering your bowl with a 100%, gluten-free superfoods. Peek at the gluten-free menu, has no butter, no fried food, very little sugar and tiny bit of salt. Bolay hopes to help American’s change the way they eat. It is important to match superfood with your nutritional needs. It may be difficult to decide which foods are the ones for you. To help you with this decision, take a lunch breaki or quick dinner at the local superfoods restaurant. For more information, call Bolay at 561-612-2859.